Roger Overton (MA, Talbot School of Theology) is a PhD candidate at Fuller Theological Seminary studying systematic theology. Roger and his wife, Jennifer, live in Long Beach, California. "This wonderful book explains how a new technology of communication is revolutionizing our culture, and how Christians can and must use the new media properly to spread the good news." 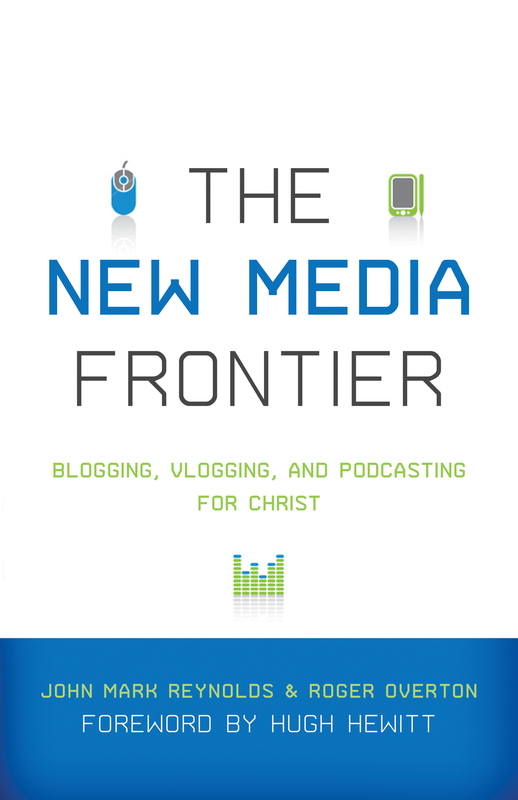 "The New Media Frontier is a much needed book that looks at the historical, philosophical, and biblical why's behind the rising communication forms of blogging, vlogging, and podcasting. These are powerful opinion expressions and tools that can be used for good, bad, and ugly purposes. So we'd better be prayerfully and intelligently thinking about the words we type or say. All persons with a computer, whether living in a major city or in an unpopulated rural area, now all have the same instant ability and potential to build, encourage, challenge, or tear down others to an unlimited audience on the Internet. You will not look at blogging, vlogging, or podcasting the same way again after reading this book." "The New Media Frontier provides us with expert insight into the new media revolution transforming our lives and today's culture and how it can be used as an effective communication tool for advancing the love and truth of God's Kingdom." "Can't tell a URL from and MP3? Here's a place to start."